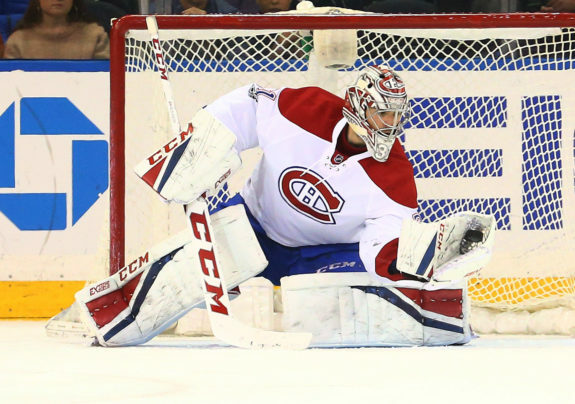 The Montreal Canadiens have proven they are a playoff-caliber team. 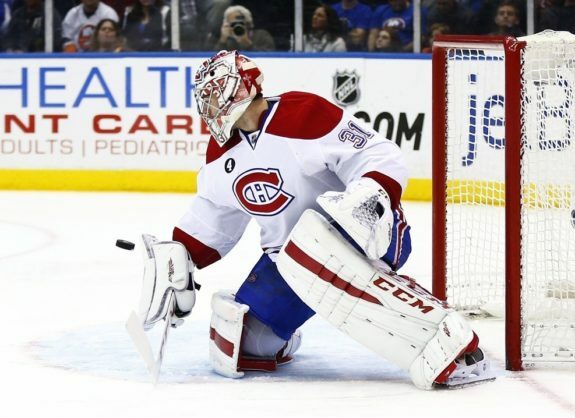 Whether or not they still are without goalie Carey Price remains to be seen, though. With a New Year’s Eve contest at the Dallas Stars remaining, the Canadiens have assured themselves of at least a .500 record on their longest road of the trip of the season, following impressive games against the Florida Panthers and Tampa Bay Lightning. While at face value that isn’t all that much to write home about, the manner in which they performed is. Winning 5-3, the Canadiens effectively quelled any realistic hope of the Panthers overtaking them for a playoff spot in the Atlantic Division, albeit with a half-season remaining. The very next night, they took the league-leading Tampa Bay Lightning to the limit in a back-and-forth 6-5 contest that was literally decided in the dying seconds of regulation. All that, and yet, despite them holding down the second Eastern Conference wild-card spot, the playoffs appear as far away as ever with news Price is dealing with a lower-body injury. It’s true the Habs performed the way they did with backup Antti Niemi in nets, implying they can replicate performances such as the ones they delivered over the weekend as long as Price is out. Nevertheless, Niemi’s capability as a starter remains a huge question mark. The good news is the Lightning were able to more than get by with merely human goaltending with Andrei Vasilevskiy out care of Louis Domingue. Domingue went 12-2 in the 14 games Vasilevskiy missed over the last two months, posting a save percentage of .912. That’s nothing at which to scoff considering Domingue’s average on the season as a whole is just .904 and the league average is .909. The point is that Vasilevskiy’s had been north of .930 before he got hurt. In short, Domingue was able to elevate his game and that’s what the Canadiens are going to need out of Niemi… just to a greater degree. That’s because all the Habs have been getting this season is human goaltending… and that’s just in reference to their resident Hart Memorial Trophy-winning goalie, Price, who has a 2.84 goals-against average and .904 save percentage. For his part, Niemi’s proven to be a decent No. 2 with a 5-4-1 record, but his .870 save percentage is cause for concern to put it mildly. Especially if he were to be thrust into the starter’s role. Especially for a team in the last playoff spot with the New York Islanders hot on its trail (one point back, with two games in hand). Maybe it’s unfair to hold the Canadiens to the same standards as the Lightning, because of the now-17-point disparity in the standings between them. 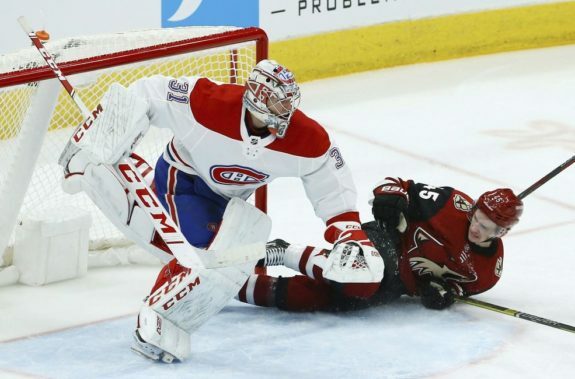 However, not only did the Canadiens’ 6-5 loss to them prove they can hang with the league’s best team, but no one is actually suggesting anything of the sort anyway. The Canadiens need to keep up their 20-14-5 pace at the very least if they want any realistic shot at making the playoffs. While they’ve proven to be a worthy playoff-caliber team until now, that’s been with just-decent goaltending over long stretches. At 36 years old, Niemi hasn’t proven himself capable of delivering that and it’s not like the Habs have many alternative options. Case in point, despite the Panthers and Lightning games taking place on back-to-back nights, head coach Claude Julien opted to start Niemi twice, instead of call-up Michael McNiven in one of those games. Granted, had Price been healthy, Julien might have done the same thing and started him on consecutive nights instead as stupid as that sounds. He did it before on Dec. 1 and 2, after all. 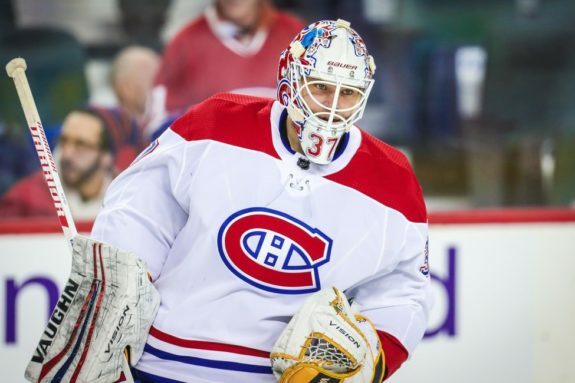 While it further proves the organization’s lack of trust in its goaltending depth, starting with Niemi, it’s decisions like that which might make Habs fans question the wisdom of the big wigs in charge of the organization. It’s decision like that which definitely put in perspective just how critical goaltending remains to the Habs, even after the quagmire that was the 2015-16 season, during which the Habs got off to a historically fast start, but missed the playoffs with Price limited to 12 games. You would hope that Canadiens general manager Marc Bergevin had learned his lesson from that season, not to make the Habs so dependent on their No. 1 goaltender. 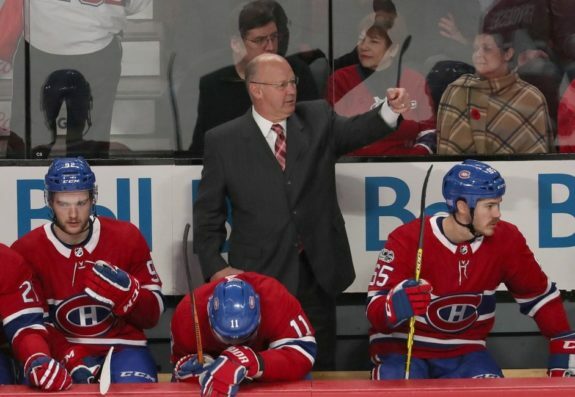 To their credit, a few games in, the Habs have performed admirably. The question is, can they keep it up in spite of the undeniably weak link in net? Injuries are never a good excuse, because so many teams go through them. What separates the great teams from the good ones is the capacity to overcome them and maintain course. What separates the good teams from the pretenders is the capacity to stay afloat. In 2015-16, it became obvious in which category the Canadiens fell. Three seasons later nothing is for certain other than how the Canadiens still depend a great deal on Price, who arguably remains their most valuable player as a result. That’s never been clearer than now with the Habs staring down the barrel of the gun that is life with Niemi as their de facto starter. The hope is Price will be back before the Habs know it. The New Year’s resolution should be that they get to the point where they don’t need him to be.